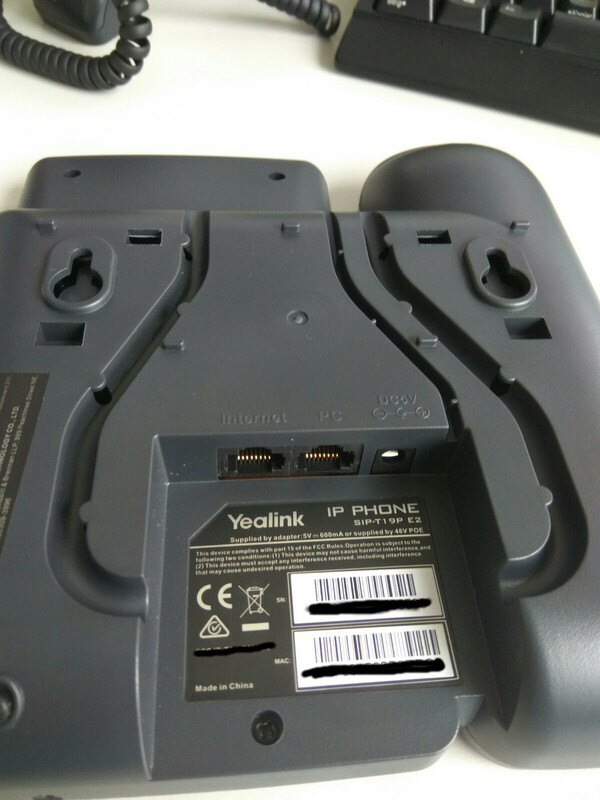 After reviewing the Yealink YHS33 Headset, I felt kind of obliged to also give you a Yealink T19p E2 Review. Both of those items kind of fit together, from the price point as well as the build quality. 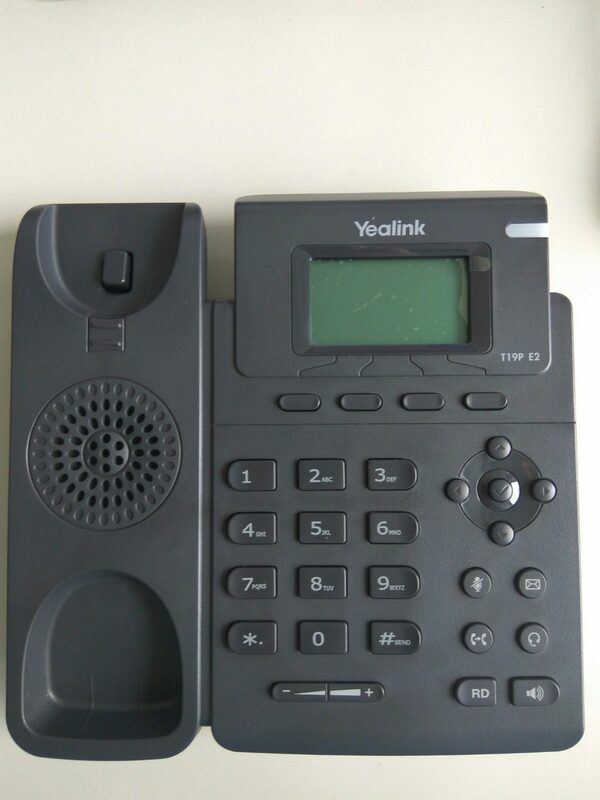 Read along to find out if this is the correct phone for you. For the price point of just 50$, the phone comes with a bare minimum of accessories. 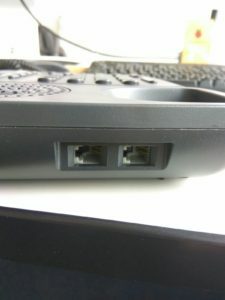 But there is nothing wrong with that, as long as the device itself does it was designed to do: Be a simple, solid built VOIP phone – and it does exactly that. The whole thing feels solid and well built. There are no moving parts, everything is rock hard plastic. The handset feels nice and heavy in the hand and the whole phone does seem like it can take a beating or two without quitting its service. I give it a solid 3 which represents the mediocre middle. Nothing special about it. 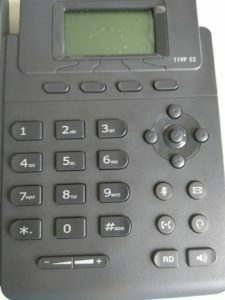 It comes with comfortable reachable mute and loudspeaker buttons and everything is easy to reach. 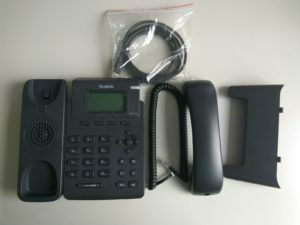 The handset is made entirely out of plastic but feels like a quality product and sits nicely on the ear, even for longer meetings. 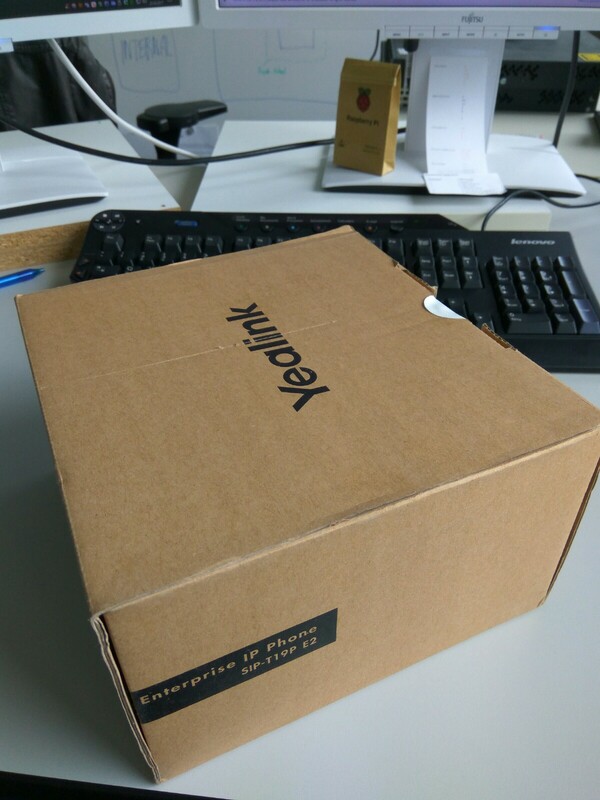 But I would recommend getting a Yealink YHS33 Headset with it. Every button is well placed and easy to find. Menus are sparse but they provide what you need and they are easily understandable and stuff is easy to find. Button placement is intuitive and you can immediately find the button you are searching for. Installation of the phone is easy, cable management is there and is sufficient. For a phone of this price point, the audio quality is excellent. I haven’t heard any background noise or disruptions. The audio comes clear and also your partner can understand you crystal clear. I am very satisfied with this for the price. 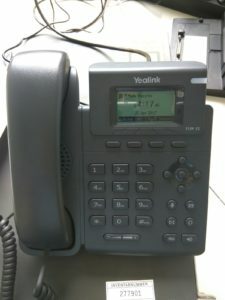 If you are looking for an entry level VOIP phone that does all that a basic phone should do – and well – look no further. For the price of 50$, there is nothing negative you can say about it. 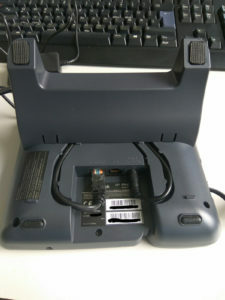 The installation is very quick and easy, handling super easy and the built quality is solid. I review this phone because I recently was searching for some info on entry level VOIP phones and couldn’t find any. I have no association with Yealink, but it would help me a lot if you bought your phones over my Amazon Affiliate links, so I can get a small provision for this article with zero extra cost to you. Also, don’t forget to subscribe to get a mail when new articles come up!